Cant even get the front to budge, scared to try back.....my 2000 eclass was a piece of cake to change every led!!!!!! how do i pull out the bulb for the front reading lights? tweezers and a thin thin flat head screwdriver. 90 degree precision needle nose pliers with a bit of double sided tape on them for grip and padding work too to remove the bulb. Last edited by Adrian97c; 11-01-2012 at 12:08 AM. yup, and works for sidemarkers as well. Is there a way to switch (non-xenon headlight) low beam bulbs for a 5000k bulb? or would i have to do a complete headlight assembly switch out for the xenon set? 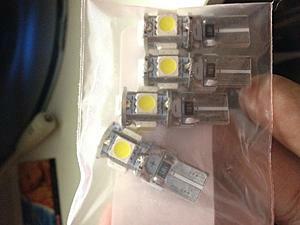 If you don't want an HID kit, you can try for whiter halogen bulbs like Philips Diamond Visions. Anyone know how to remove the 2 map/reading lights that are in the rear view mirror on 2012 W204? I don't want to break it but it seems like the little frosted lens doesn't come off. 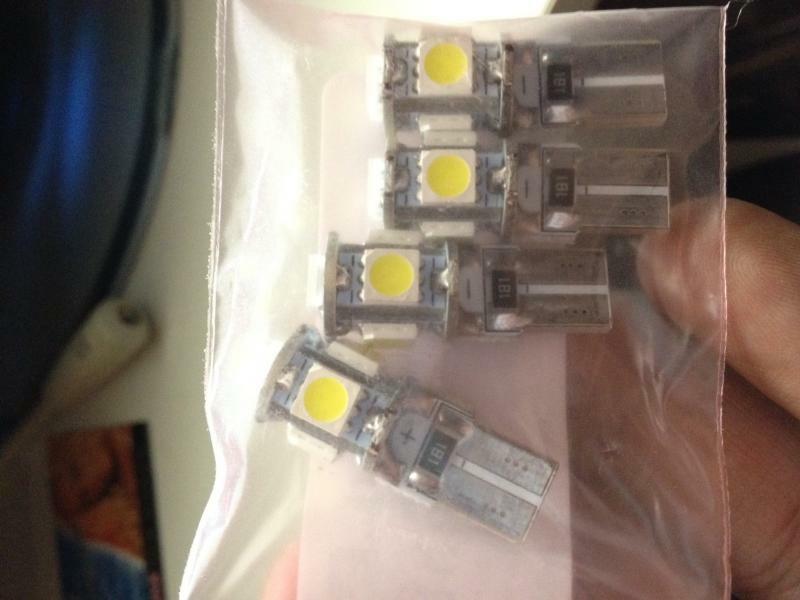 I have a wide variety of LED lights from previous Bimmer convertion. I decided to replace all internal lighting on my 2013 W204 to LED except for the map light. It is cool white enough for me. Now the footwell lit up for a second when door is open. I think it need a load resistor. can anyone advise me that the size of the center length of the rear dome light. 39mm? does normal LED trigger the alarm? the interior lights. i am assuming the license plates light bulb will trigger alarm as i seen one w220 has alarm while license plate light bulb blown. Has anyone tried the Sylvania 6000K 168/194/2825 LEDriving bulbs (instead of Polarg M-4) as dome light replacements for 2012 C250? If so, do the Sylvania LEDs already have the resistors mentioned in previous posts, or will they require adding a resistor? If a resistor is required, what kind/size/model/spec is required? Hi guys. As I didn't find any information on this, if the interior lights are replaced with leds, does the dimming efect remain? I'd like to know on this as well!! Due to digital nature of LEDs, you'll be hard pressed to find dimming LEDs for this application. LEDs simulate dimming by having multiple discrete steps in lumen. Vast majority of LEDs are single step though with a single on and off. Our LEDs are 2 step with a torch mode and ambient mode which works great in spots like footwell where you need that ambient setting while driving. How did you remove the map lights under the rear view mirror? I need to swap those out and i see a little notch in the frosted glass. There is also a mark on near it which says "L and R". Not sure how they pop off and I dont want to damage anything. Good instructions would be very helpful! ken - are your map lights out or you're just wanting to swap them? i did not change those, i think they're already LED, or at least they match the color of the rest of the lights now. i will look at mine in a bit and let you know if i can pop the covers off. Map lights are working but they are not LED's. My 2010 C were LEDs when I bought the car but my 2013 are halogen. I swapped out everything except the map lights and the dim "night light" under the rear view mirror.